Filby01493 846346work VillageFilby near Great Yarmouth is a pretty village situated on the shores of Filby Broad and Ormesby Little Broad, part of the Trinity Broads. The village can trace its roots back to the Vikings who settled in the area around AD800. The Trinity Broads are no longer connected to the rest of the broads network which means they have for particulalry clear water quality. Sailing, boating and fishing are allowed on these Broads but are carefully regulated as they are also areas rich in birdlife and natural beauty. 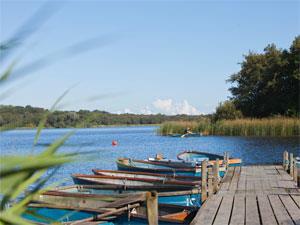 Rowing boats and a wheelyboat which is accessible to wheelchair users can be hired. Fishing platforms are also available suitable for wheelchair users. Filby has won the village category of the Britain in Bloom competition on a number of occasions and is a mass of colour throughout the year with it's wonderful flower arrangements along the roadside. There are several camping and caravan sites in the area, along with a small parade of village shops and amenities along with some excellent pubs and a restaurant for lunch and dinner. Filby near Great Yarmouth is a pretty village situated on the shores of Filby Broad and Ormesby Little Broad, part of the Trinity Broads. The village can trace its roots back to the Vikings who settled in the area around AD800.